The Foothills will donate up to 20% of your check. 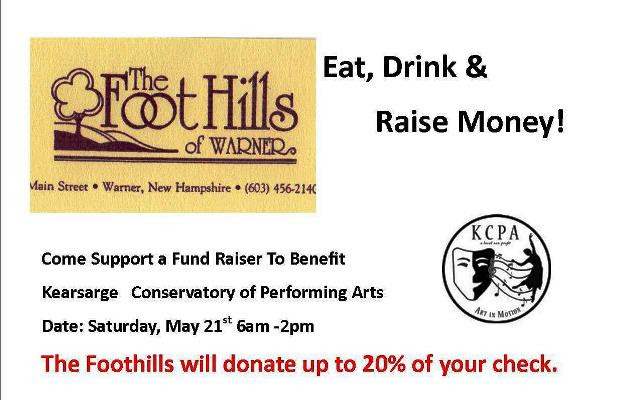 Come join us for a wonderful day in Warner! Eat at The Foot Hills and see a preview of our upcoming SPRING SHOW with both beautiful and hilarious moments, featuring dancers and singers of all ages, levels and styles. Click HERE for Schedule of performances.